The latest topic of tweets coming from President Trump are in regard to oil prices. West Texas crude closed at $68.40 Friday, continuing is strong run from the low $40’s in June. Gas prices in Washington and elsewhere in the country have topped $3.00 per gallon, a psychologically important point. With summer approaching, prices traditionally are likely to rise further. This is something that hits the wallet of most Americans, and could have an impact on the upcoming mid-term elections. Prices have not been this high since 2014, and if oil tops $80 or so a barrel by summer, gas prices could exceed $3.50 a gallon and the highs of 2014. So what is behind the run-up in oil prices over the last year? Just like in 2008 — OPEC. The cartel of 11 nations led by de facto leader Saudi Arabia has proposed that the world is able to handle higher oil prices as it did in 2008, when Libya’s Shukri Ghanem said, “The world economy has not reached the tipping point where it can’t accept higher prices.” Almost a decade later OPEC is back at it again. “I haven’t seen any impact on demand with current prices,” Khalid Al-Falih told reporters at the meeting of OPEC and non-OPEC producers in Jeddah. 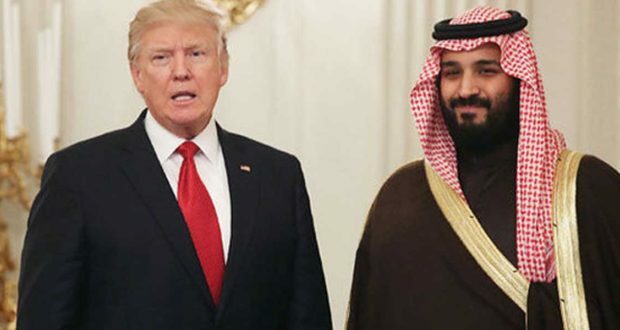 Hence the tweet from Trump saying that OPEC was causing oil prices to be artificially high. A cartel such as OPEC disrupts the true supply and demand of oil, giving it the ability to decrease production or deliver less to the world, thus causing the price of oil to rise. like John Bolton and Mike Pompeo. A possible draconian sanction would be to stop importing oil from Venezuela. President Trump unleashed his initial volley into the fray with his comments on OPEC. It is difficult to determine just what is ahead for oil prices. We really haven’t heard much from the cartel in a while, and this is certainly a heads-up for the White House. One must remember that OPEC is not our friend. You only have to look as far as founding member country Venezuela. 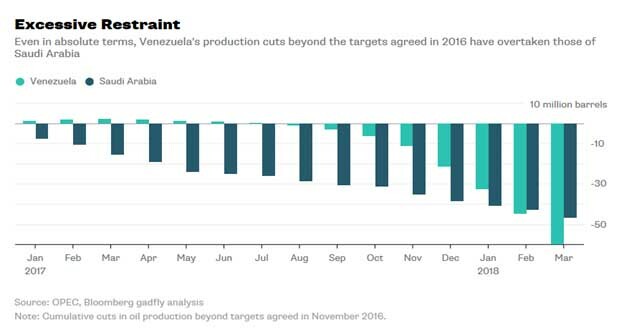 Hanging by a shoestring, Venezuela has been on its knees to OPEC to reduce supply. This is how a cartel can treat a friend, imagine what they really care about the United States. I thought now we have enough oiil we do not have to import? what happened?